Pega® Platform provides flexibility and options when you define the business hierarchy in your application. You can choose a context when you create business issues, groups, and proposition properties. 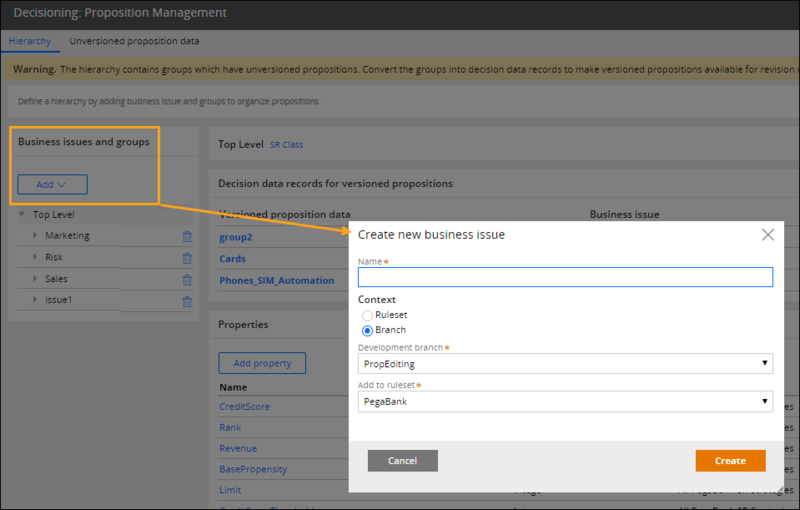 By creating these resources in specific rulesets or branches, you can control their visibility and separate lines of business in your application. Any propositions that you create in a business hierarchy inherit the context of the group in which they are created. For more information, see Creating a business issue, Creating a group, Adding a versioned proposition, and Adding an unversioned proposition. 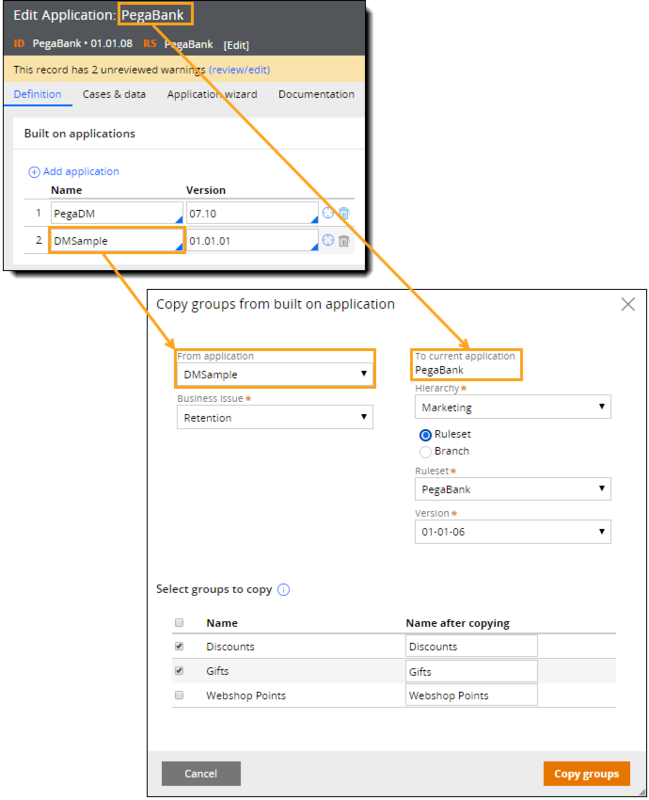 To avoid creating propositions manually, you can reuse existing propositions from built-on applications by copying proposition groups. To copy proposition groups, click Designer Studio > Decisioning > Decisions > Proposition Management > Copy proposition groups. You can copy proposition groups from one layer down in the application ruleset stack. For more information, see RuleSet Stack tab. For more information, see Copying groups from the built-on application. Bulk edit unversioned propositions in a proposition group. Export, edit, and import unversioned propositions by using Excel. For more information, see Editing unversioned propositions in bulk.